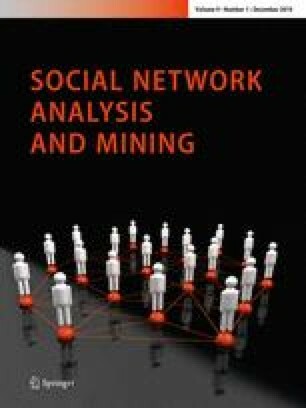 Network motifs are patterns of over-represented node interactions in a network which have been previously used as building blocks to understand various aspects of the social networks. In this paper, we use motif patterns to characterize the information diffusion process in social networks. We study the lifecycle of information cascades to understand what leads to saturation of growth in terms of cascade reshares, thereby resulting in expiration, an event we call “diffusion inhibition”. In an attempt to understand what causes inhibition, we use motifs to dissect the network obtained from information cascades coupled with traces of historical diffusion or social network links. Our main results follow from experiments on a dataset of cascades from the Weibo platform and the Flixster movie ratings. We observe the temporal counts of 5-node undirected motifs from the cascade temporal networks leading to the inhibition stage. Empirical evidences from the analysis lead us to conclude the following about stages preceding inhibition: (1) individuals tend to adopt information more from users they have known in the past through social networks or previous interactions thereby creating patterns containing triads more frequently than acyclic patterns with linear chains and (2) users need multiple exposures or rounds of social reinforcement for them to adopt an information and as a result information starts spreading slowly thereby leading to the death of the cascade. Following these observations, we use motif-based features to predict the edge cardinality of the network exhibited at the time of inhibition. We test features of motif patterns using regression models for both individual patterns and their combination and we find that motifs as features are better predictors of the future network organization than individual node centralities. Some of the authors are supported through the AFOSR Young Investigator Program (YIP) grant FA9550-15-1-0159, ARO grant W911NF-15-1-0282, and the DoD Minerva program grant N00014-16-1-2015.